When I found out that Fellowship of the Bloggers were doing a Disney themed month in March (which is also my birthday month, coincidence? I think not!) I knew I had to get involved. My name is Amy Marie and I'm a Disney-Holic. You can usually find me over at Cocktails in Teacups but for today, I thought i'd share a post about one of my life time wishes, to take part in Disney Cosplay.. and the best part? It might be happening this year! Ever since I was a very small child, I have enjoyed dressing up as my favourite Disney characters. While my mother was a stay at home mum we didn't have much money so most of my costumes were homemade with what she had lying around. When she was back at work, we started to take holidays to the holy land, for me this Disney World in Florida, no lie.. Magic Kingdom is my favourite place in the whole world. Still is. Anyway, once she was earning more money and my dad had a better job we were able to have REAL outfits from the Disney Store. I think we maybe had three each over the course of time until we no longer fitted them. We spent a lot of time wearing them, to the point once they no longer fitted they weren't good to anyone else! But what upset me most, not the part that they became damaged over time, no the fact that after about the age of 14/15 I could no longer get one to fit! I would of continued to ask for one at Christmas even to this day.. alas, if I want to dress as a Disney character these days, I have to turn my attention to etsy or ebay. Which is what I'm planning on doing. But first, who would I be? As a child, Alice was always my first choice, hands down. Either that, or Tinkerbell. And for some reason I also had a Jasmine costume.. Anyway. As much as I still love Alice, I'm not sure she would be my first choice these days. Maybe it's because I filled my dream by dressing as her for a Murder Mystery last year? But now, I have a new list, and today topping it, is Ariel. 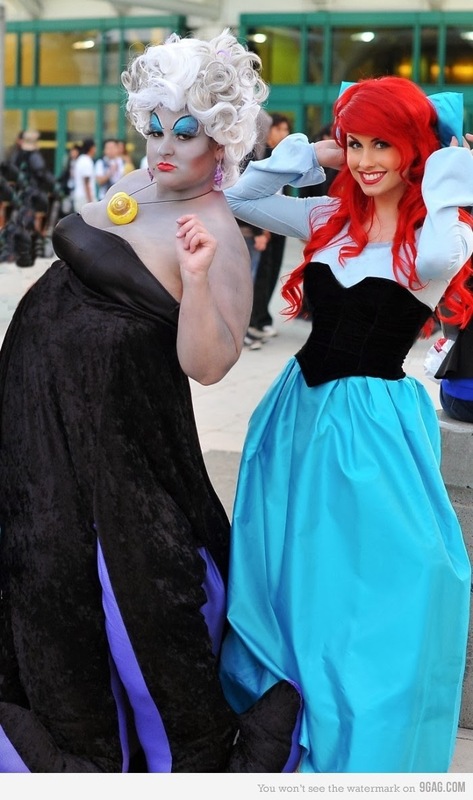 In particular, Ariel in the blue dress. Yes, that one. The one from Kiss the Girl. 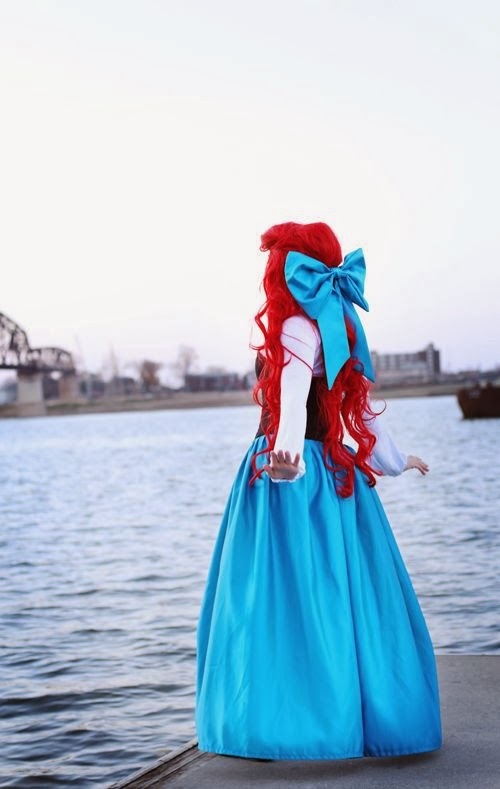 I don't know if it's because I'm a red head now, or because I've always thought that dress was so understated and beautiful or because I identify with Ariel.. but this is my dream cosplay outfit. I'd whack on some bright hair dye, get someone to work my hair and I would rock that dress. The cheapest I've found for a dress like this is near £100 made to measure.. how I wish I could sew myself because I might even have a crack at it as it doesn't look too complicated, right? Or I could go for this look? Not sure if I'd look half as good as that girl though! 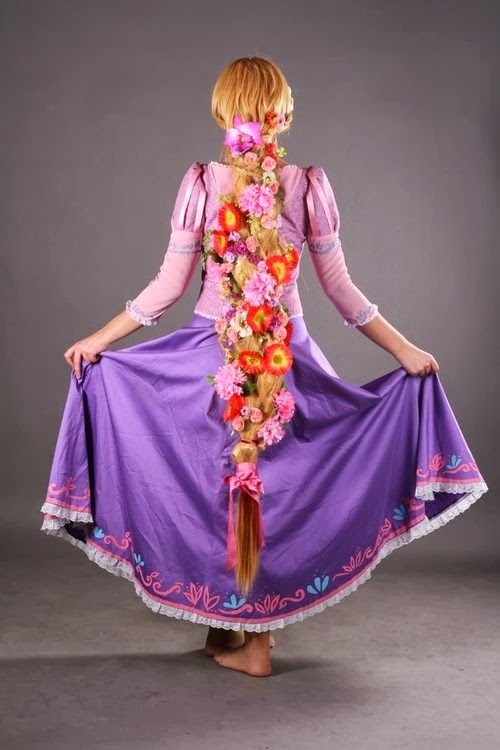 Second up from my dream cosplay parts, Rapunzel. Just wow. It would be all about the hair though, right? I don't have blonde hair and it certainly isn't of a length to rival Rapunzel but I have looked on eBay and you can buy Rapunzel wigs for relatively cheap. I'd buy it and braid it and fill it with flowers. Then the dress. Again I found one for less than £40 on eBay so this is much more of a possibility. 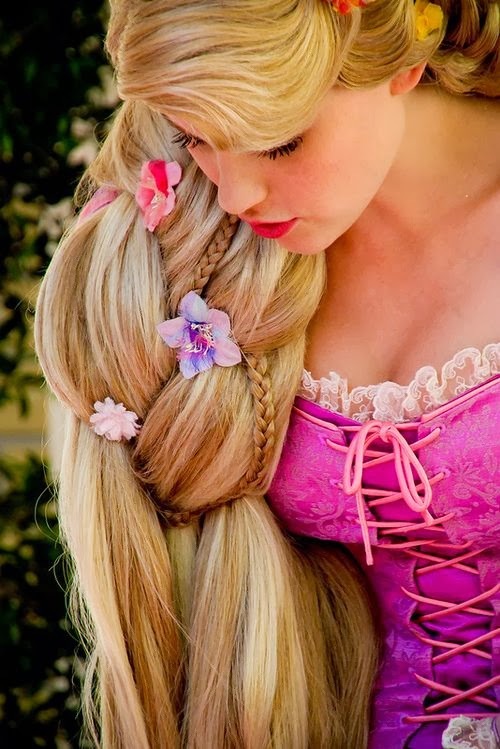 I love Rapunzel, I love Tangled. and I know I suit blonde since I spent the first 18 years of my life that way! Also, I need to find this guy to be my Flynn. 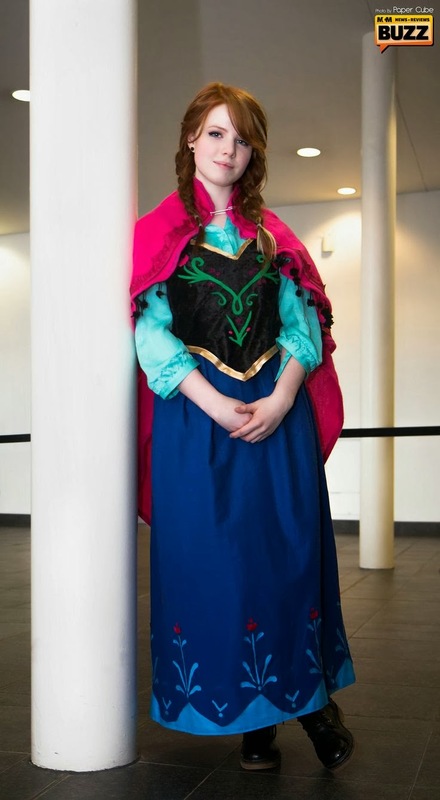 Another relatively new one, Anna from Frozen. 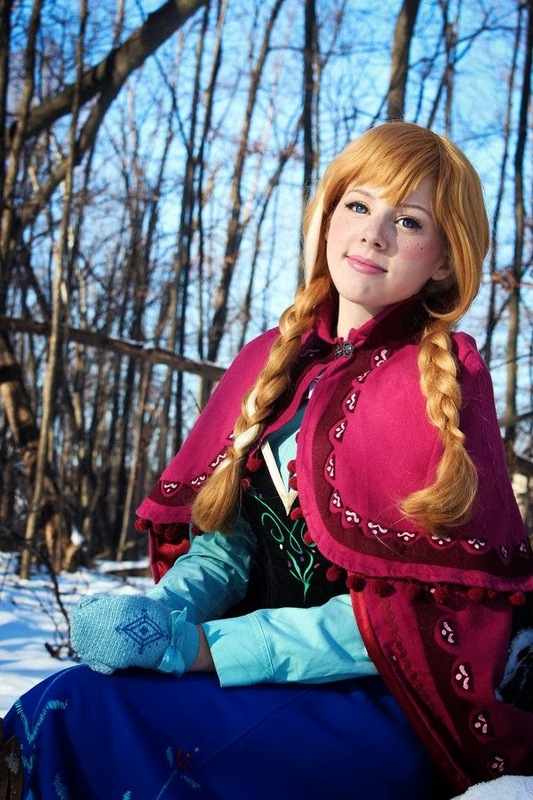 Yep, so you're probably either an Anna or an Elsa. I'm an Anna. Completely so why not cosplay her? Since I'd basically just have to behave like myself. Again my hair could quite easily be altered without the use of a wig and as much as I love her green coronation dress, I'd probably go for her blue dress instead... why? Because I freaking love her boots and I was heart broken that they only go up to a one in the Disney Shop! Two sizes too small! Finally, if money was no object (and I could pull off being the fairest of them all!) Snow White. Just yes, on so many levels, yes. 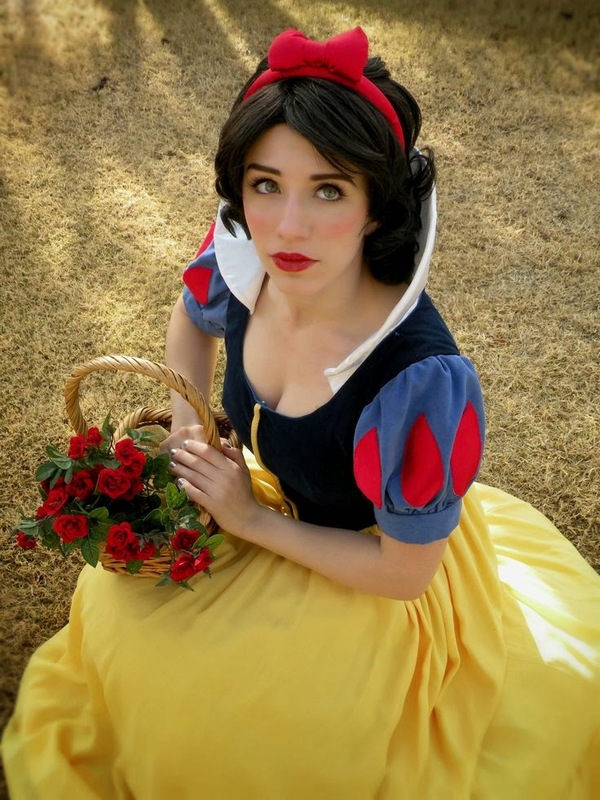 If I was having a Disney wedding and was using cosplay to get married, I would dress as Snow White. To get a good looking replica you're talking insane money and then there was the question as to how i'd fit my amount of hair into that wig. But if I won the lottery tomorrow, I'd make my hair fit into that wig if I could afford a dress. I've always had an affinity with Snow White, despite not being a huge fan of the movie. Maybe because it's the first? It was certainly the first Princess movie I loved. And I do love all the memorabilia that goes with it. Plus, who wouldn't want to be the fairest of them all? Even just for one day. So there you are. Now you all know my secret obsession with Disney Cosplay and how I spend hours searching Pinterest for costume suggestions and longing to have a wardrobe just for adult size costumes (I envy my daughter and her already over flowing dressing up basket!) To be honest, I'd turn my hand at anyone from Mary Poppins to Peter Pan, I know I'd rock those tights! 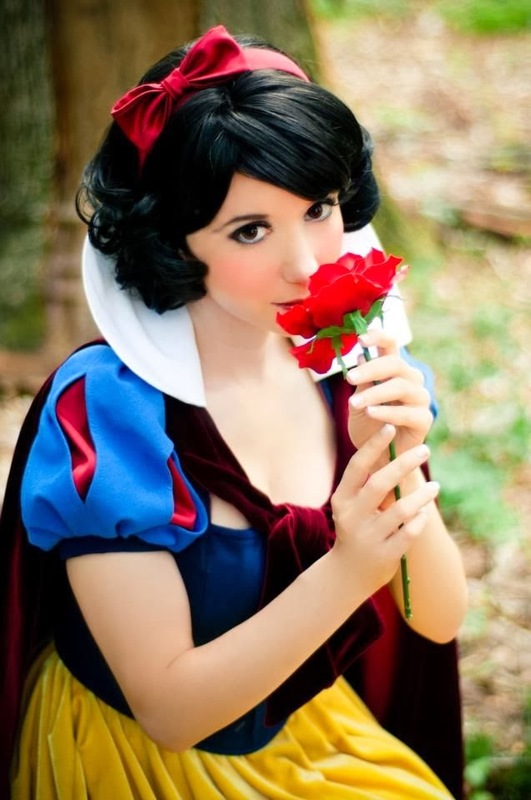 If you could be any Disney character for Cosplay, who would you choose? The people in these pictures look gorgeous in their outfits.